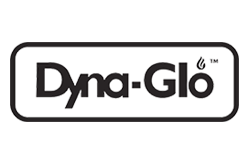 Dyna Glo is a brand of GHP Group, a leading manufacturer of electric fireplaces, fireplace accessories, portable heating products, and barbecue grill products. Through the Dyna Glo brand, GHP offers gas and charcoal grills and smokers at low to moderate prices. This compact charcoal grill is a very basic grill with a couple of awesome features. While it’s not as durable as a Weber (at least we don’t think so), this Dyna-Glo grill does offer some things that you don’t always find in Weber grills such as an adjustable charcoal tray and side vents. For its price (which can get incredibly lower depending on which store you buy it from), this charcoal grill is definitely worth the price. It does a good job of producing decently cooked grilled meals and does so with less of a hassle than a lot of charcoal grills in the market today. There are plenty of people who want to enjoy the benefits of a full-sized grill but simply can’t because their patio or deck has limited space. With this grill, Dyna-Glo is trying to blend two worlds together – a small living space and full-sized grilling. This compact gas grill has 390 square inches of primary cooking space which can fit around 16 burgers and 117 square inches of secondary cooking space (warming rack) which can fit around 4 buns. It doesn’t seem like much but that’s pretty good for a small grill. The grill also has fold down side tables which allows you to easily store the grill when not in use and ensures that the grill will fit into tight spaces. 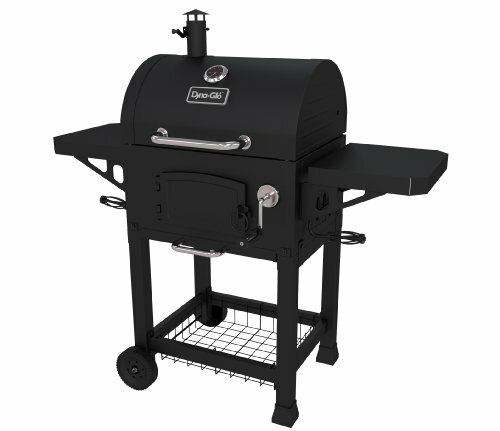 Two swivel casters enable you to move the grill around (from storage and back) and lock the grill in place whenever you’re using it. So, what else does this grill have going for it? It’s a pretty basic grill, no extras at all except for the fact that it has six hooks placed on the side table for hanging your grill accessories. This is a convenience that a lot of brands charge extra for. Another great thing about this grill is that it heats up quickly, taking less than four minutes to reach a target temp of 500 degrees Fahrenheit. Aside from getting hot fast, the grill also retains heat pretty well due to its porcelain-coated cast-iron grates. Unfortunately, there are some things about this grill that does need improvement. The grates are much harder to clean compared to other grates of this type. And the heat is distributed unevenly (hotter at the back and center of the grill) so you’ll need to be vigilant when cooking or else you’ll be eating overcooked meat. Despite the negatives, the Dyna-Glo 3-Burner Gas Grill is an affordable choice for the average griller. 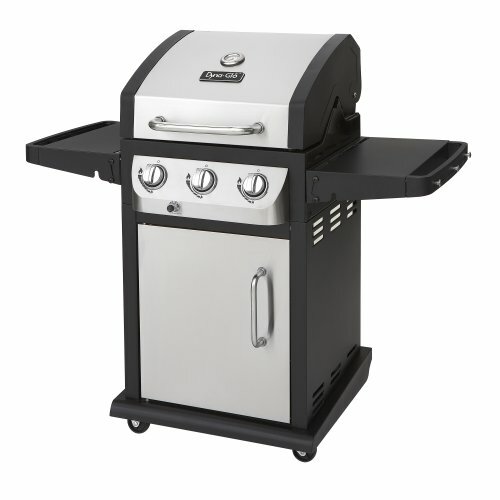 It does a fairly good job in grilling food and it fits in small spaces. It’s also fairly easy to use. If you’re looking for a decent grill that can produce decent food, then this might be the one for you. If you’re looking for a quality grill but can’t afford to shell out a lot of cash for a Weber, this might be a great option for you. 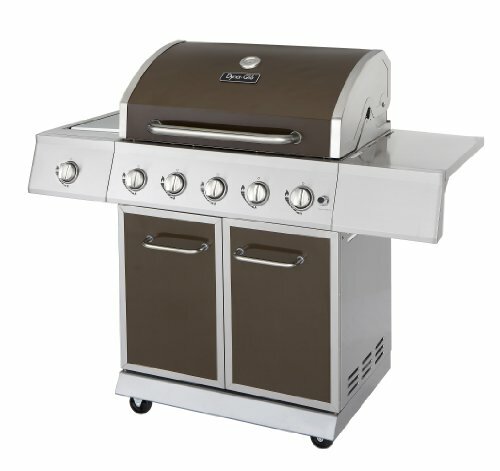 Looking over the grill’s specs, it’s easy to see that you’ve got yourself a quality grill for its price. It may not be a fantastic one but it does the job well enough. The grill does heat up nicely and distributes the heat evenly. You get plenty of cooking space (total of 646 square inches) so you can easily hold barbecue parties for your family and friends. There’s a gap at the back that prevents the grill from going past 500 degrees Fahrenheit but is easily remedied by screwing on an aluminum push plate (or something similar) to close it out. All in all, this is a competent grill that (with some modification) definitely delivers. 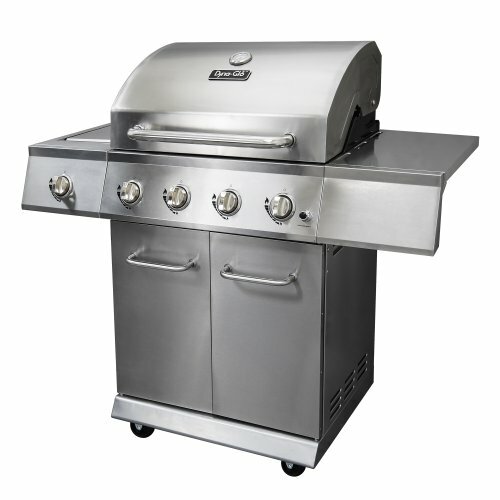 One of the best low to moderately-priced gas grills in the market is the Dyna-Glo 5 Burner Gas Grill. This is relatively large, able to grill up to 28 burgers at once with its 708 square inches of grilling space. It is a bit bulky but you aren’t buying this grill for its portability. This grill has 5 burners plus a side burner that burns at 12,000 BTU, perfect for grilling veggies or other side dishes and even sauces. Aside from being able to feed a large hungry party, this gas grill has several other benefits. It’s quite easy to use and maintain. The grill ignites quickly and is able to reach 500 degrees Fahrenheit in less than four minutes. Moreover, the meat cooks evenly most of the time (the heat distribution isn’t as equal as we desire). There’s even a pull-out tray for your liquid propane tank for easy access and replacement. The warming rack and the primary cooking space are placed far enough apart so you don’t have any problems flipping meat over. The stainless steel grates are very durable though they take a bit of effort to clean. It must also be noted that the grates are spaced a bit farther apart than they should be which could lead to feeding the meat to your burners instead of your guests. Overall, this Dyna-Glo gas grill is absolutely worth the cost, delivering great barbecue for large parties. However, if you’re not a frequent outdoor chef with a high guest turnout, this is probably not the one for you. 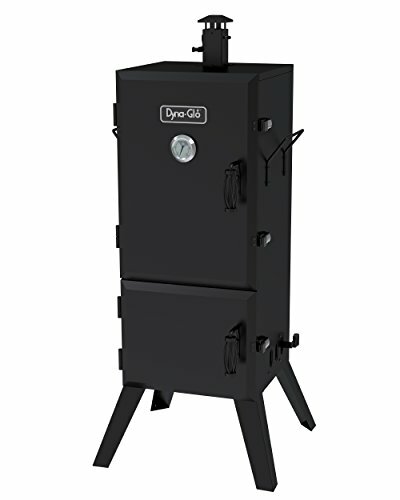 Dyna-Glo’s vertical offset smoker has a unique design that eliminates the biggest flaw in horizontal offset smokers – it enables the smoke and heat to travel upwards and not sideways. While it definitely is on the cheap side, this smoker delivers well above its price range. Very convenient to use; just slide the rack out to place the meat on the grate then slide it back into the smoker. Large amount of cooking space that will allow you to cook loads of chicken, ribs, and brisket all at the same time. The smoker is made in China and the quality of materials as well as the build isn’t as good as we would have liked. The thin material provides little insulation so smoking meats in very cold weather could be a problem. There are some smoke and heat leaks around non-vent areas that you will have to seal with high heat silicone (or something similar). You’ll also need to use a smoker gasket on the door to prevent heat from leaking there. Aside from a little DIY, you can’t really complain much because the price is really cheap. Despite its problems, the Dyna-Glo Vertical Charcoal Offset Smoker gives you a lot of bang for your buck. It’s easy to use and can deliver deliciously smoked meat in spades. That’s all anyone can ask for anyway. There’s no question that Dyna-Glo grills and smokers fit the tight budget of the average griller. And they generally are worth the price you pay. While you can certainly cook good food on any of their products, be prepared to stay satisfied with decent results instead of fantastic ones.